For Sunshine Week 2015, the National Security Archive​ conducted an audit of how well 165 federal government agencies in the United States of America comply with the E-FOIA Act of 1996. They found that only 67 of them had online libraries that were regularly updated with a significant number of documents released under the Freedom of Information Act. The criteria for the 165 agencies were that they had to have a chief Freedom of Information Officer and components that handled more than 500 FOIA requests annually. Almost a decade after the E-FOIA Act, that’s about a 40% compliance rate. I wonder if the next U.S. Attorney General or the next presidential administration will make improving on this poor performance priority. It’s important for The United States Department of Justice​ to not only lead by example but push agencies into the 21st century when it comes to the Freedom of Information Act. It would certainly help if Congress passed FOIA reform. “The Department of Justice’s Office of Information Policy defines these records as “frequently requested records… or those which have been released three or more times to FOIA requesters.” Of course, it is time-consuming for agencies to develop a system that keeps track of how often a record has been released, which is in part why agencies rarely do so and are often in breach of the law. Troublingly, both the current House and Senate FOIA bills include language that codifies the instructions from the Department of Justice. While it’s true that it would take time and resources to build and maintain a system that tracks such requests by industry, there should already be a money trail from the fees paid to the agency. 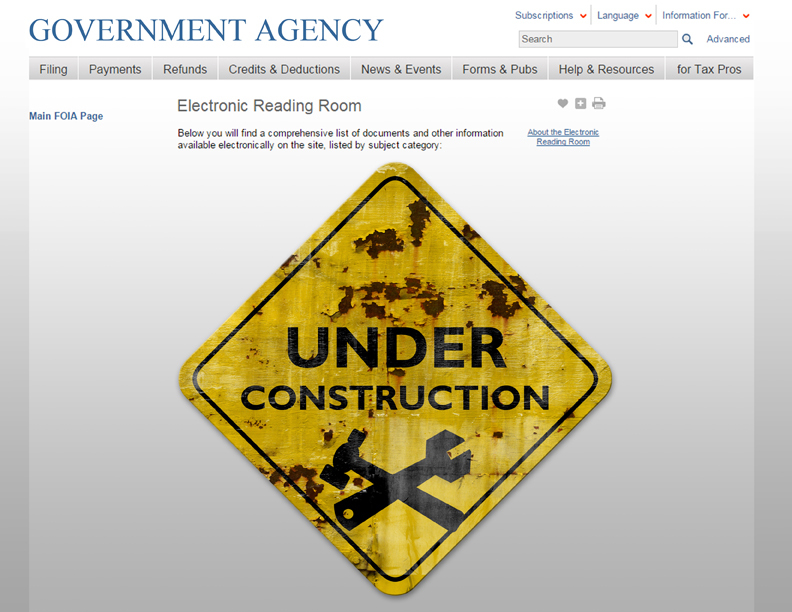 If FOIA reform leads to modernizing how it’s implemented, perhaps tying FOIA.gov to Data.gov might finally take place. The datasets are the subject of the most FOIA requests are the ones that should be prioritized for proactive disclosure online. Adding a component that identifies which data sets are frequently requested, particularly periodically, should be a priority across the board for any administration that seeks to “manage information as an asset.” Adding the volume and periodicity of requests to the expanding national enterprise data inventory might naturally follow. It’s worth noting, too, that reform of the FOIA statute may not be necessary to achieve this end, if the 18F team working on modernizing FOIA software worked on it.